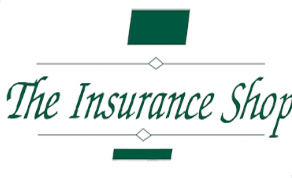 For the fourth year running, The Insurance Shop will hava a stand set up at The Market Place in The Galmont Hotel (formerly The Radisson Hotel), Galway on Friday, July 13th and Saturday, July 14th. The Insurance Shop also offers markets for annual policies and short period policies, for one off productions with Chubb Ins and CirclesGroup. Visit The Insurance Shop website for further information – www.tis.ie. Some of the recent productions that The Insurance Shop have provided production insurance for include Soilsiu Teo ( David Rane) – ‘In Loco Parentis’; Dark Window Media ( Kathy Horgan) – ‘The Observer Effect’. Productions nearing completion – Wavelength Pictures ( John Flahive) – ‘The Quiet Architect – Kevin Lynch’; New Decade TV (Nuala Cunningham/Ciaran O’Connor) – ‘Haunted’. Other companies and services at The Marketplace at the Fleadh include Teachsolas, IFTN and IFTA.